The 4th Pillar: Getting the Right VA Claim Effective Date. The LAST thing that you want to make sure of in any VA Claim or Appeal is that the VA assigned the right Effective Date. 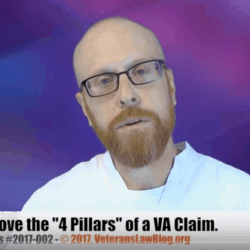 Getting the correct effective Date is the 4th Pillar of my 4 Pillars of a VA Claim for Service Connection. When I say its the last thing that you want to address, that does not mean you should ignore it throughout your claim. In fact, any time that you file a Notice of Disagreement (NOD) or a VA Form 9, you should always indicate that you reserve the right to challenge any effective date when the VA assigns one. So, until you receive a decision GRANTING service-connection for a condition, there is really nothing you can do about the Effective Date. The VA doesn’t even assign one until they establish the initial Impairment Rating (Pillar 3) for your condition. What is a VA Claim “Effective Date” and Why Should You Care? When a VA grants a claim for service-connected disability compensation, it must decide on what date will be the start date for payment of benefits – because it takes the VA YEARS to decide claims, this “start date” governs how much money the VA owes you. The date that governs when the VA should have started paying you Service Connected Disability Compensation is known as the Effective Date. How do you figure out what the “right” VA Claim Effective Date is? This is a tougher question than it appears. There are a lot of twists, turns, and traps in Effective Date challenges and appeals – and if you are fighting for an earlier one, I cannot stress enough it is to seek out professional help. Most VSOs don’t know the difference between an Effective Date and a Blind Date, so I strongly encourage you to seek out the assistance of an accredited VA Attorney. Find out how to choose the right attorney for your VA Claim or Appeal here. 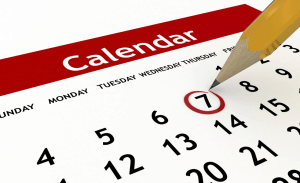 General Rules Governing Assignment of VA Claim Effective Dates. There are a lot of unique, unusual, hard to find and odd-ball Effective Date Rules. I can’t possibly tell you about them all here. What I CAN tell you about are some of the more common rules – here are 6 of the more common ones. 1. The “General” Effective Date Rule. #2 The date your entitlement arose. There are a whole bunch of $100 Lawyer Words in those short sentences. You will need to understand what a “claim” is, and you will need to understand what date your entitlement arose. But remember, it is the LATER of the 2 dates – so if the VA received your claim on April 1, 2010, then it doesn’t matter if your entitlement to benefits arose at an earlier date. What DOES matter is what constitutes a claim. And that is too much information for THIS post – we’ll cover that question elsewhere. There is also some argument over how to determine the date the VA received the Claim – but these arguments really only matter when the possible dates are in a different month (or, when you need a PRECISE effective date within a specific month to show another federal, state or county agency the date when you became entitled to other local government benefits as a disabled veteran). Generally, though, if the VA argues that they received your Claim on April 24, 2003, and you claim they received it 2 weeks earlier, on April 10th, the outcome of your case will be the same – as far as getting money from the VA, anyway. 2. Tying your Effective Date back to Separation from Military Service. If you file a claim for disability compensation within one (1) year of your discharge from service, then when the VA service-connects your condition, you will be entitled to get past-due benefits all the way back to your Date of Separation. But, miss that 1 year application timeline by 1 day, and the law is pretty clear – you don’t get that advantage. Bottom Line: File your claims while still on active duty, or as soon as possible after getting discharged. 3. Effective Dates in Claims for Increase. Generally, in a claim for Increase in Rating, the effective date is the later of the date that your service-connected disability got worse, or the date the VA received your claim. So, if you have service-connected PTSD, and you were receiving 50% until November 2012, when your condition started to get worse, you might file a Claim for Increased Rating. If you filed that claim in January 2013, under the GENERAL rule, you would be entitled to an effective date of January 2013 (although your payments will start the month AFTER the month of the Effective Date). If you can show that you had more than a marginal increase in the severity of your condition in the year prior to filing the Claim for Increase, your Effective Date will be the date where there is first evidence of an increase in severity. 4. Effective Dates when submitting New and Material Evidence During the Appeal Period. So the VA issues a Ratings Decision and you have one year to appeal by filing a Notice of Disagreement. If you submit new and material evidence – from any source whatsoever – during the one year appeal period, the effective date should most likely be the date that you filed the original claim (prior to the ratings decision). * You file a claim on February 15, 1995. * The VA denies the claim on October 10, 2001, and you have one year to file the NOD/Appeal. * Let’s say that within that 1 year period, you submit new and material evidence in your claim – doesn’t matter what it is, as long as it is new and material to the reason for the denial in October 2001. * Your effective date – if the claim is granted – will be February 1995 – NOT October 2001. Check out 38 CFR 3.156(b) to learn more about that rule. 5. Effective Date determinations in Agent-Orange claims under the Nehmer case. Talk about confusing – the Nehmer effective date rules can be pretty challenging to navigate. Here’s a brief explanation of Nehmer Effective Date Rules. I’m going to STRONGLY encourage you to reach out to an attorney to help you if you are trying to get an earlier effective date under Nehmer. There are just way too many legal strategies and arguments to cover in a single blog post. By the way – the VA is not currently applying Nehmer Effective Date Rules to Vietnam era Veterans exposed to Agent Orange in Thailand and Korea. I think this is wrong, and am pushing hard against the VA to change this. 6. My FAVORITE Effective Date Rule. So, let’s say you receive a VA Ratings Decision in July 1975 for a claim that you filed in June 1974. Let’s say the basis for the denial was – in July 1975 – that there was no evidence that you had an event in-service that caused your disability in 1975. You don’t appeal. 20 years later, in March 1995, you find a copy of your service medical records – turns out they weren’t “lost” but were maintained in paper files by the unit you served with. You send those records to the VA in 1995, and they VA reopens your claim and grants you service connected disability compensation BASED ON THE INFORMATION IN THOSE RECORDS (material or not). Which effective date do you think you get? June 1974 – the date of your original claim? July 1975 – the date of the original denial? March 1995 – the date you reopened your claim? If you guessed June 1974, you guessed correctly. 38 CFR 3.156(c) requires that if newly discovered military service or military medical records form “all or part” of the basis of a new decision granting a benefit, the effective date goes back to the original claim which was denied for lack of that information. Get Help When Challenging an Effective Date Decision by the VA. There are so many more Effective Date rules that I really have to STRONGLY suggest that you get an attorney to help you in your Effective Date challenges. Let me tell you how to find the attorney that is BEST for you and your claim. Brand new here. Hope this is the best place for this. I have recently been awarded service connected ratings in association with head trauma in 1985. I filed my initial claim in 1990, less than a year after discharge. That was for my knees. The VA employee who helped me fill out paperwork told me “can’t prove it , don’t waste my time” when I mentioned head trauma that was in my lost records. I never knew it was in my discharge physical until years later. No, I cannot prove he said that. The RO made a claim for me for 2 minor issues from my discharge physical. I Did NOT claim them. One was denied and the other was service connected at 0%. At the same time they failed to mention Head trauma, Depression or Excessive worry, Hypertension, Pain or pressure in chest, Frequent Headaches or Ear, nose or throat trouble. All clearly noted on the same document. I am just now rated at 90% and if only the areas attached to my Head Trauma were rated, I would still be at 80%. I think I must have an effective date challenge. My C&P exams note that the Trauma was in my discharge physical, I was suffering residuals while on active duty and ever since. Should the RO have made these claims for me at the same time they did the “stupid” Granuloma? If I am understanding your question correctly, what happened here is a common “trick” played by the VA. They tell a Vet “No, you can’t claim that”….when in reality, you can. Whether or not you have an effective date issue is going to depend on what is in writing in your C-File and when it appeared there. I strongly recommend you contact a VA Accredited Attorney to have them look into it to see if the VA cut you out of an earlier effective date. 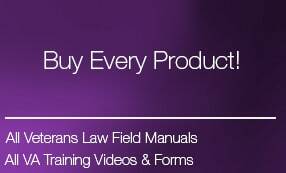 Read this Free eBook to learn how to choose the VA accredited Attorney that is right for you.